When Xiris demonstrates its weld camera systems, one of the unexpected benefits an operator notices right away is the ability to quickly align the torch and seam. Xiris weld cameras have integrated LED’s that provide a nice bright image of the seam and torch prior to starting the weld process. Before we begin our demonstration, we ask the operator to align the torch and the seam which is usually done manually with a visual check. Once we are told the system is aligned, we ask the operator to look at the computer screen and, 90% of the time, the torch and seam are misaligned. The operator then begins to use the weld camera system right away to achieve perfect alignment on a consistent basis. Here are three videos that demonstrate the alignment process. 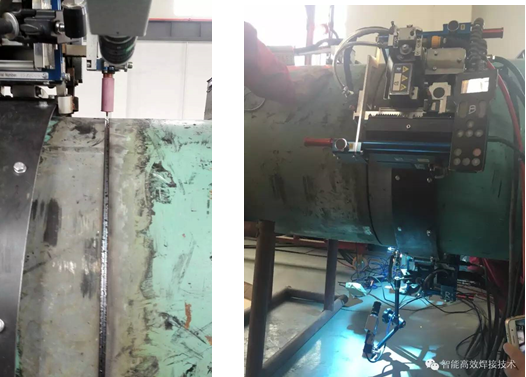 In these examples the manufacturer has installed a positioning sensor on the robotic arm which is meant to ensure perfect torch alignment during each weld and the operator simply verifies the alignment prior to welding. The positioning sensor and the operator have misaligned the torch, resulting in a bad weld. The operator has used the weld camera system to verify the alignment and you will see the adjustments that were made after the robot had been aligned. Not only do the cameras ensure accuracy, the operator can perform the alignment quickly, right from the console rather than bending, stretching or climbing up on to the equipment to achieve proper alignment. Last week Xiris Automation was given the opportunity to work with the team at Weld Revolution and record some footage with the new XVC-1100 color camera. Weld Revolution’s SpinArc® welding torches utilize a high speed rotating weld arc to enable the welding of all metals in any position using either metal-cored or solid wires in spray transfer or pulse modes. The unique stirring action delivers clean robust welds and is extremely effective for narrow groove welding. The above video, captured with the XVC-1100 color weld camera, shows how smooth and consistent the SpinArc® process welds as it travels down a 3” deep groove and as a result, the weld bead typically requires little or no beveling. Even with the incredible brightness of the arc and the outer walls of the narrow groove, the XVC-1100 colour camera was able to automatically adjust and deliver an excellent picture with detail of the melt pool, side wall tie-in, alignment, heat effected zone, and even wire spin. 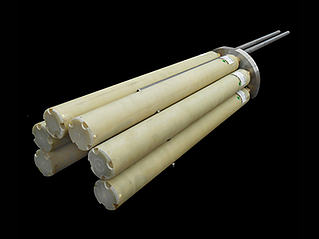 The manufacturing of long-distance pipelines for the oil and gas industry uses automated orbital welding systems to join together each piece of pipe to the main pipeline. During the welding process, the operator needs to monitor the wire-feed position and the molten puddle in real-time to ensure weld quality and inspect for the presence of weld defects as the orbital welding system is moving. Since the weld torch rotates 360° around the pipe and the operator has to follow the weld torch while wearing a weld helmet, monitoring the weld is both labor intensive and potentially hazardous. As a result, it is sometimes difficult for the operator to properly focus on the welding process. 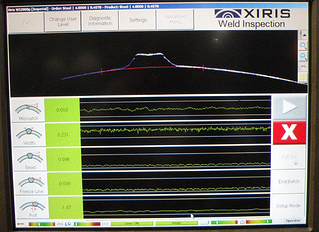 Using Xiris’ high resolution and high dynamic range weld camera, operators can sit beside the automated orbital welding system while remotely monitoring the weld arc, molten puddle, feed wire, and other important information that relates to the quality of the weld. The Xiris Weld camera includes software with crosshair graphics which can help the operator to align the weld process within the groove between the two pipes. The Xiris weld camera can greatly reduce the physical strain of weld monitoring while improving the safety of the work environment, allowing operators to comfortably focus on the quality of the welding. 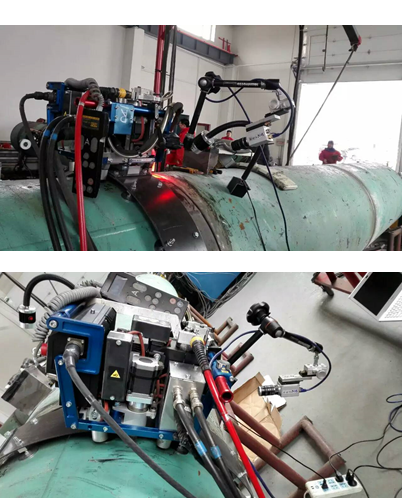 The result is that the Xiris weld camera can help improve the overall welding process in pipeline manufacturing and reduce the re-work required.